Instagram has been on a roll when it comes to updating its photo-sharing service with new features. In the past few months, Instagram has been updated with features like disappearing stories and ephemeral direct messages and today, Instagram is adding an option to save posts. Instagram is in a better position to compete against Snapchat's growing popularity than its parent Facebook. Starting today, it will allow its users to save posts they would like to revisit later. The feature is akin to 'save link' on Facebook. The new Instagram update will add a bookmark icon underneath posts in users feed. Tapping the bookmark icon saves the post to a new, private tab on user profile. Instagram says this new tab will act as one stop shop to see all the posts that you have saved. 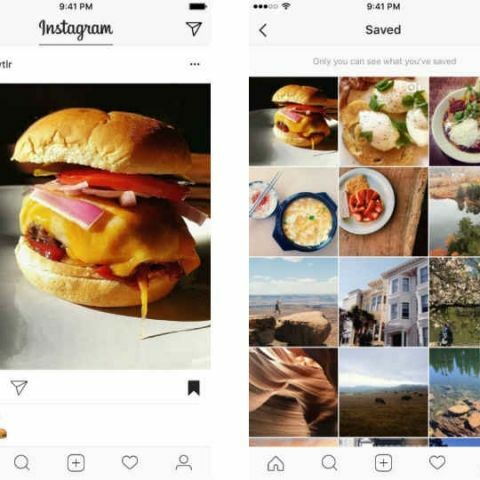 Saved posts are part of Instagram version 10.2, which available starting today for Apple's iOS and Google's Android ecosystems. While Instagram points out funny video as an example for bookmark, there are more options like watches, cars, DSLR that you would probably see only on Instagram than in real. Instagram recently added option to stream live videos as part of Stories while making photos and videos disappear in direct messages. Instagram Stories has reached 100 million active users and now supports features like boomerang and mention. Why is computer called computer science? what is panorama feature of Camera mean ? Why is a mobile phone called cell phone? What is the best app that can save battery on moto G?